With a billion people in the world, you would probably, why not to learn Chinese? You could also ask, why should you learn English when there are many reasons why you shouldn’t? One of the biggest that you should not learn Chinese is that it is very much confined to a few area. The only people that speak Chinese are Hong Kong, Tibet, Taiwan, and Macau. Except for Taiwan, most of these countries are controlled by China. There are no countries that don’t border that speak Chinese. It would not be the same with other languages. At least 39 countries speak French. 23 different countries speak Spanish. 10 countries outside of Portugal speak Portuguese. Linguistically, based on geography, the only way that you are going to speak Chinese is by going to China or Taiwan or the countries that are considered to be part of China. This indeed is very limiting to want to learn this language. Another problem with Chinese is that there is no alphabet. The Chinese were created by ruling class and they refused to make the written language understandable to the lower classes. The ruling class also turned the written language into art. There is over 30,000 character and they are pictograms. The character for tree looks like a tree. A house character looks like a house. This form of writing made it very hard for anybody in China outside the ruling class to learn the written language. It also has made it for people in future generations to learn written Chinese as well. Another problem with Chinese writing is based on how it looks, not how it connected to the speaking part of the language. The art of writing is called calligraphy. With the writing, the ruling class kind of had calligraphic contest with the 30,000 characters in the language. The pictogram that looked best won and was considered to be the prettiest. They did not care whether it would be easier for non-speakers of Chinese to be able to write it. They just cared that it was easy on the eyes. The people who speak Chinese have had 5,000 years to create idioms and slang that are unique, They were also created in isolation and they were made without any other connection to other languages. In English, you have a Japanese word like karaoke as part of its language. Even in Thai, people say hello to each other, making you think that they may speak English. Chinese made no such allowance to make connections to another language so it makes this language very hard to learn to non-native speakers. Even in China, English is more an advantage to be able to speak than the local language. From the first grade to the last grade in China, you are required to speak English. If you want to go to a Chinese college or university, being able to speak some English is a requirement. If you appear to be white and an English speaker, you will be bombarded with invitations by the local people to teach them English. Why should an English speaker learn Chinese when native Chinese speakers are desperate to speak English? If you want to be a success in this world, Chinese is definitely not the way to go. 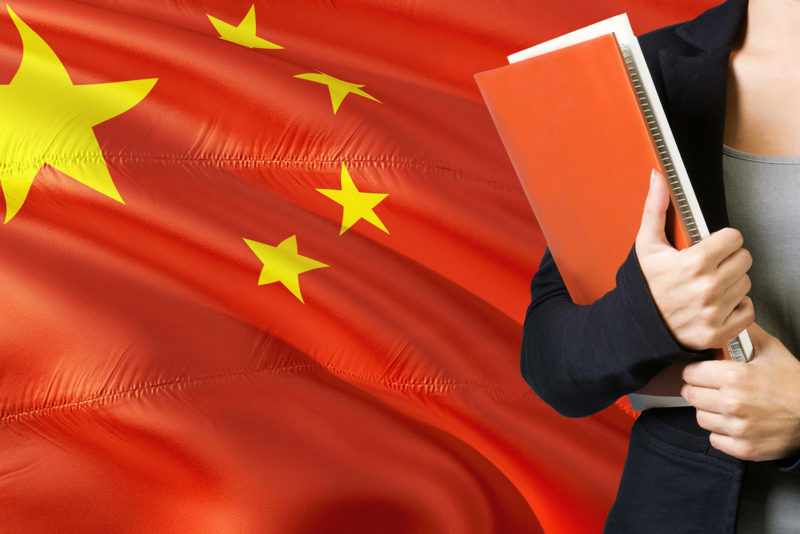 To do business outside of China, you have to speak English. English is the language of the business world. If you try to speak Chinese in the business world, they will not understand and you will not be successful in that world. The business world is not the only where success depends on learning English. If you want to become a pilot on international flights, you have to know English as international pilots and air traffic controllers only use English to talk to each other. In international politics, it is also necessary to speak in English as diplomats only communicate with each other. Chinese would be a hindrance in this world as well. In the end, to be successful, it is always an advantage to be speaking English and it is not an English to be a speaker of English. This does not mean that Chinese is a bad language. It is just that in certain areas of expertise have decided that the best language to communicate with each other. One-sixth of the world do grow up speaking Chinese. This means that five-sixths of the world does not speak. They speak English or Spanish or any other language that is not Chinese. Five-sixths of the world is equal to five billion and one-sixth of the world equals a billion people. The majority of the people do business or pilot a plane or do politics so this leaves out people who speak Chinese. It also, unfortunately, that native speakers of Chinese will end up living below the poverty line because they cannot participate in activities that allow them to make money. Chinese ends up being obstacle to making money in this world. Why not to learn Chinese? You probably want to learn it so you can be successful to do business in Chinese, but it is not going to be easy. You are going to have learn a language that has nothing with common with your native language. The oral part of the language could be easier to use, but it also has nothing in common with your language. Even if do learn the language, you are going to have to overcome the extreme cultural differences between your culture and Chinese. You are going to have to decide whether it is worth all that effort just to be a success business person in China. One of the biggest reasons not to learn Chinese is the Internet. Only until recently could website be a language other than English. Email addresses are definitely based on English and the QWERY keyboard. The 30,000 characters would be hard to fit on a keyboard that may have only 50 keys. Those characters would have translated to something useful and that would be have to something called Pinyin. Pinyin would be the only chance that you would have to type the Chinese language on your keyboard. The only way that you can use a computer or the Internet would not be so cumbersome and that would be English. There is no way that it would be Chinese. There are indeed many obstacles to learning Chinese. It would probably be better if you learn another language. You can, of course, can still learn and hopefully, you will still be successful despite the obstacles.